A suspect wanted over a deadly attack last month in Nigeria dropped out of university in Britain, it emerged on Friday, fuelling concerns he may have been radicalised here. Army deserter Aminu Sadiq Ogwuche, who served in a Nigerian intelligence unit, was arrested in Sudan on Tuesday over the April 14 bomb explosion at a packed Abuja bus station. The attack, which killed at least 75 people, was claimed by Boko Haram Islamists. 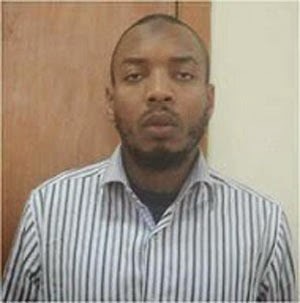 Nigeria’s secret police, the Department of State Services, said this week that Ogwuche was “UK-born” after announcing he was still at large and alleging he co-masterminded the bombing. But British officials say Ogwuche is not a British national. It is understood the security services are looking into his activities during his time in Britain. The University of South Wales confirmed Friday that he studied at the institution between 2007 and 2010, when it was known as the University of Glamorgan, but said he failed to complete his course. WalesOnline, a Welsh news site, reported that Ogwuche was a member of the university’s debating society and wrote on an online professional profile that his goal was “to be a successful businessman”. But it said the Business Science student had made increasingly radical postings on his Facebook page in 2010 and 2011, under a profile picture with the word “Asadullah”, meaning “Lion of God”. The university told the site in a statement: “Aminu Ogwuche was a student at the former University of Glamorgan between 2007 and 2010 but didn’t go on to complete his studies at the university”. It said the institution was “surprised” to hear of his alleged involvement with Boko Haram, saying: “There were no reported indications of extremist behaviour during his time as a student.